Evidence in Motion (EIM) is an education and consultation company whose sole reason of existence is to elevate the physical therapy profession and the role of physical therapists in healthcare delivery. A strong dedication to fostering the creation and assimilation of an evidence-based practice culture within the physical therapy profession is a cornerstone of Evidence In Motion’s mission. They have put in place evidence-based practice treatment pathways in many facilities and aims to promote the global sharing of information and ideas, thus advancing evidence-based physical therapy practice, research and education around the world. Evidence In Motion offers Continuing Education, Residencies, a Fellowship Program, a Musculoskeletal Transition DPT, and an Executive Program in Private Practice Management with optional Transition DPT. Orthopaedic & Sport Residencies are made up of on-line & hands-on courses, lending flexibility & work-life balance. Orthopaedic Manual Physical Therapy Fellowship is designed to graduate clinician scientists skilled in evidence-based integration of advanced manual therapy techniques. Transitional DPT in Musculoskeletal Management is post-professional clinical & didactic education designed to bridge a Bachelors or Masters degree to the Doctorate level. Executive Program in Private Practice Management with optional tDPT will enhance the business intelligence & savvy of owners/managers in private practice with practical applications to provide a competitive advantage. Certification Tracks are post-professional training designed to advance the physical therapist as a provider of patient care in a specific area. Continuing Education provides knowledge from online, in-person, & blended formats that can be immediately integrated into practice. Books and CD ROMs provide useful knowledge of Musculoskeletal Examination as well as treatment of the most commonly seen injuries in PT clinics. Lectures & Presentations: EIM have kindly donated evidence-based lectures from their Residency course. These are lectures that have been created by the fellows themselves and submitted through a peer-review process. 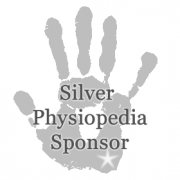 EIM have now submitted them to the open-access environment in Physiopedia to share with all. See the presentations here. Capstone Course Assignment 2009: EIM run an Orthopaedic Physical Therapy Residency program which is a planned program of post-professional clinical and didactic education for physical therapists designed to advance the physical therapist resident's preparation as a provider of patient care services in orthopaedic physical therapy. In 2009 EIM Residents completed an assignment to make pages in Physiopedia as part of the capstone course in their residency training. Eric Robertson is the co-ordinator for this project. See details here.